Thanks for your interest in writing a guest post or becoming a guest personal injury law blogger for PIClaimsBlawg. 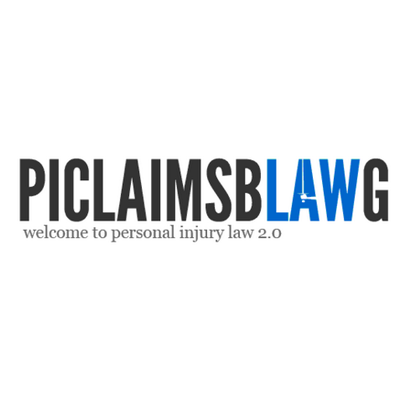 This year, PIClaimsBlawg is changing its approach to publishing personal injury related legal content – we are accepting only the best contributions. Please contact us here to find out how you can get published with us today. If you want to share high quality legal content in the areas of personal injury/tort/delict law around the world, including useful legal knowledge and news (whether for PI content marketing purposes, for academic purposes or otherwise), to wide audiences, here are some of the key things you should consider before submitting your post(s) for review by our moderators. Why Blog on PI Claims Blawg? Reach over 12,000 of our followers on Twitter (follow @PIClaimsBlawg and @WardBlawg) and a wide professional audience on other social networks including LinkedIn, Facebook and Google+. Get your content, brand and your legal services promoted from an established law blogging website, specialising in personal injury law and accident claims news. Share useful personal injury legal information to a large and varied legal and business community across the UK and beyond. We are kept very busy with the level of interest in submissions, but if your post isn’t published with a week please let us know – use the contact form on this site. Please note that we are maintaining very high standards of moderation and the strictest possible approach in line with the guidelines below is recommended. Our biggest issue at the moment is with spammers trying to submit poor quality content and adding promotional references in key parts of articles. These will not be tolerated. On the other hand, exceptional quality content is always warmly received – our aim is to publish excellent legal intelligence and news. Blog posts should provide useful legal intelligence (knowledge or news) on relevant personal injury subjects. Posts covering accident claims, tort law, delict, negligence, medical claims, road traffic accidents or other areas of practice are welcome. Our editors were formerly lawyers with experience in PI and can tell useful posts from the not-so-useful ones. Specify the governing law of your article where appropriate e.g. it may apply under Scots law or the laws of England & Wales. It may apply under US law or Australian Law. Blog posts are welcome from personal injury lawyers, barristers, injury law firms, law graduates and law students with an interest in personal injury or tort law and also non-lawyers, particularly those looking to ask legal questions – eg how to claim for accident or injury. We do not publish generic articles unrelated to personal injury law or claims and of no value to our readers. We reserve the right to reject any blog submitted on reasonable grounds e.g. the post was not on a relevant area of law or if your post was of poor quality.